… that was basically nothing but a mix of personality cult (endless graves, tombs. shrines and Images of Imams and “Ayatollahs”), hatred towards the bulk of the Prophet’s companions and Zoroastrian-Safavid influenced elements. The most amazing fact is that a man born in the 90’s of the NINTEENTH CENTURY (1890!) struggled to his utmost ability (with no Internet, no satellite channels, no books en masse etc.) in a COMPLETELY Rafidite-Shi’ite ruled country and environment and proved without a shadow of a doubt that Shi’ism is based on polytheism (personality cult in form of prayers etc.) AND superstitions (“twelfth hidden Mahdi” along with the well-superstition and Khoms in his name >>>). Yet, we still have people in this age who seriously believe that Shi’ism is a valid Islamic sect or worse; “The school of Ahl Al-Bayt”. (This is like saying and believing that Catholisism is the “school of taught” of Jesus son of Mary!!!). According to Kasravi, Islam was the guiding torch of the people in the pursuit of welfare, yet at the hands of the Shi’a it had become the source of their deception and misfortune. The author of “al-Mawsou’at” comments on the above: I say: “And it seems he (author of al-Tharee’ah) forgot and made a mistake may Allah have mercy on him because this man (Kasravi) is not compatible with the book because he is a Murtadd (apostate) as is known to all, he also has a great enmity towards this religion and this is why he got killed. Explanation: Basically this Rafidi Shia scholar called Sharaf al-Deen wrote the book “Ma’a Mawsou’at Rijal al-Shi’ah”, this book comments on other books of Shia Rijal (a Hadith science) like “al-Tharee’ah fi Tasaneef al-Shia” which apparently is by “Agha Bozorg Tehrani”. This book “al-Tharee’ah” lists all the Shia books and their authors and it seems that the writer of al-Tharee’ah included Kasravi and addressed him respectfully by saying “The contemporary Historian and Master(Sayyed) Ahmad al-Tabrizi al-Kasrawi” this made Sharaf al-Deen angry so he started criticizing Tehrani for including him among the Shia authors, he called Kasravi a Murtadd (apostate) and an enemy of the religion simply because he converted to Ahlul-Sunnah, he also stated that it is well known that he was killed because he converted to Sunnah and criticized Shi’ism. Although Kasravi had written an important book called Shari’at Ahmadi on the osul and foru’ of Islam and Shi’ism, he gradually began to question not only the role and legitimacy of the clergy, but even the basis of Shi’ism. He distinguished two different types of Islam: the Islam of the pious Prophet and the Islam of all the various sects that had emerged from the spread of the religion. According to Kasravi, the two were opposed to one another. Existing Islam was an institution run by the clerics, beneficial to no one and the source of great misfortune. The object of religion, he argued, was to secure the welfare of the people by finding solutions to their daily problems such as poverty, unemployment, and ill health. These he believed, were the acts which would please God. According to Kasravi, the clergy did not perform their expected role. Instead of functioning as the enlightened shepherd who would lead his flock to spiritual and material felicity, they misled the people, perpetrated ignorance, deprivation and superstition. Kasravi reproached the clergy on several counts. He derided their role in deepening the animosity between Shi’i and Sunni Muslims. He attacked the custom of building shrines for the Imams and characterized their worship as idolatry. He accused the clergy of deceiving the people by encouraging them to go on pilgrimages (“Ziyarat” to shrines) as a means of attaining salvation or as a guarantee for the realization of a miracle. Kasravi argued that a reward could be expected only for a useful act. The lavish expenditure on pilgrimage, he maintained, was best spent on feeding and clothing the hungry and the poor. 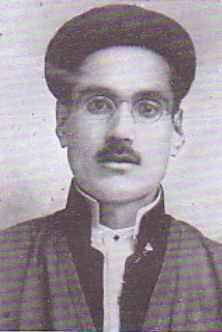 Kasravi revolted against what he called the cult of personality of Shi’i Imams which had led to the Shi’i custom of ‘people worshipping’. Thus Kasravi claimed that the faith had to be cleansed from all its impurities and called for a return to its original essence [Tawhid/Monotheism]. 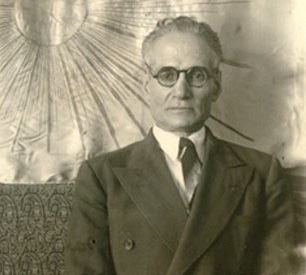 Many of Kasravi’s above-mentioned criticisms of Shi’i rituals and practices as well as his view on the role of the traditional clergy, later found its echo in modernist Islamic circles and especially in the works of Ali Shariati. Kasravi, who at first seemed to be a reformer of Shi’ism, later hardened his position and became anti-Shi’i. In his book Shi’igari, ‘The practice of Shi’ism’, he bases his refutations of Shi’i beliefs on the Qur’an, the practice of the Prophet and Imam Ali. Throughout the book he remains highly respectful and reverential towards Imam Ali, Imam Hossein and their original followers. According to Kasravi, the Shi’i practice of dissimulation of one’s real beliefs (Taqiyyah explained – understand 12er Shi’ism) when survival is at stake, was in fact a means of deception which legitimized falsehood. The safavid rulers who wished to prove their Shi’i zeal went to extremes to uphold established Shi’i rituals and rites. With the active collaboration of the clergy, they accentuated those aspects which Kasravi believed to be impurities. They institutionalized the custom of insulting Abu Bakr, Omar, and Osman, thereby deepening the hatred between Shi’a and Sunnis. It was also during their time that Islam became synonymous with observing certain formal rituals such as attending and weeping at mourning sessions (rowzeh-khani), going on pilgrimages and petitioning the imams with prayers. Later, Shari’ati too identified Safavid Shi’ism as a ‘polytheistic’ religion. 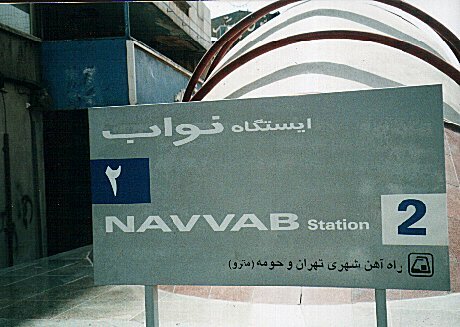 Kasravi’s attack on the practices of certain Islamic jurists (faqaha) and the Safavids, under whose rule Shi’ism became Iran’s official religion and the Shi’i clergy obtained power and prestige, was a challenge to the dominant perception of Islamic practices. Kasravi, however, was very careful not to question or negate any of the three fundamental basis for Islam, namely monotheism, prophethood and resurrection. From the Shi’i community’s point of view, Kasravi crossed the Rubicon when he attacked the authenticity of certain essential pillars of Twelver Shi’i thought and insulted certain highly revered Shi’i infallibles. He rejected the commonly held belief that the first three caliphs had usurped the position of Imam Ali. He challenged the concept of imamate, or the right of Imam Ali and his male lineage to the religious and temporal leadership of the Islamic community. Kasravi rejected the infallibility of the Twelve Imams, ridiculed the existence of the Twelfth Imam and consequently the central Shi’i notion of his occultation and his promised return on earth. His criticism was no longer directed at one or another member of the clergy, certain practices or rituals, but the content, object and raison d’etre of the Shi’i faith. His discourse had become anti-Shi’a. Having had a traditional clerical education, Kasravi must have anticipated the traditional response of the clerical community to his discourse. Kasravi’s criticism of the mechanical, superstitious, ahistorical and dogmatic nature of Shi’ism, as it was practised in his day, left an undeniable mark on the Muslims who sought to modernize their religion. Kasravi’s tumultuous life and his fate also indicated the extent and limitations of an open attack on certain rituals and practices, the clergy, and ultimately certain fundamentals of the faith. 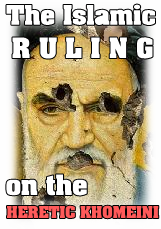 The Rafidah clergy were so scared of him, the biggest “Ayatollahs” back then, including the FOUNDER of the new Hawzah in Qom, Ayatollah Borujerdi who issued a Fatwah for killing Kasravi (along with other “Ayatollahs” like Khomeini, Al-Sadr and others)! 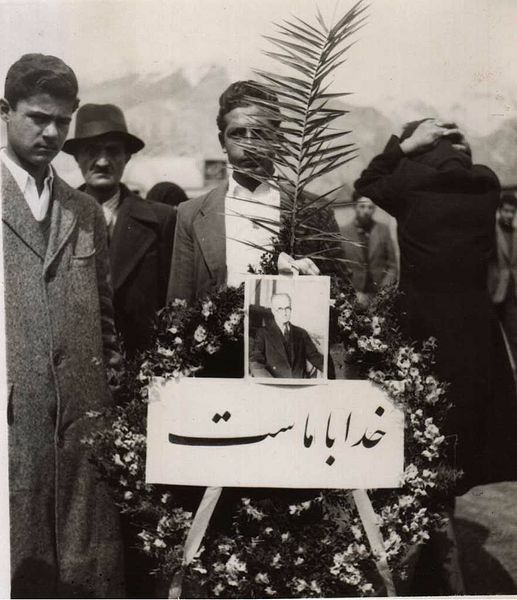 Anyway, on March 11, 1946, while being tried on charges of “slander against Islam,” Kasravi and one of his assistants were knifed and killed in open court in Tehran by followers of Navvab Safavi, a Shi’a extremist cleric who had founded a terrorist organization called the Fadayan-e Islam (literally Devotees of Islam). 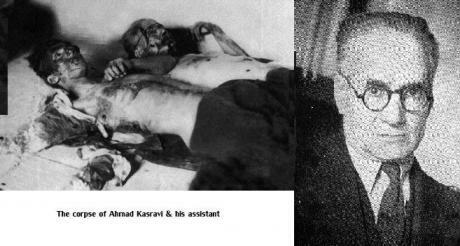 The same group had failed in assassinating Kasravi earlier in April 1945 in Tehran. Hence he joined the club of those lions who destroyed the false foundations of twelver Shi’ism to such a degree, that the Ayadollar$ in their desperation resorted to knifing (Kasravi) and even bombing (Shaykh Ehsan Elahi Zaheer). He influenced the likes of Ayatollah Borqei (you have to read his self written biography. He mentions how more than 200 Ayatollahs of Qom issued FATWAS that declared that Borqei is an Apostate Jew! The Ayadollar$ who must had been freaked out and scared to death of a personality like him, hence they declared him a Jew/Zionist/Apostate, simpley because of him leaving twelver Safavid Shi’ism. May Allah forgive Ahmad Kasravi’s shortcomings (secular delusion) and accept him among the martyrs and join him with the Prophets, scholars, Sahabah and Ahl Al-Bayt in the Hereafter. His books are availible in ARABIC and PERSIAN only. If you are REALLY interested in his books and if you want to support the Da’wah then contact us and spend in the way of Allah collectively and let us translate them. There are translation companies in Egypt for instance, they are affordable and specialised in translating from Arabic to English. ^This is the book where he destroyed Rafidite Shi’ism COMPLETELY, beginning from Imamate, “divine leadership of Ali bin Abi Talib” and the biggest myth i.e. the “hidden Imam”.